Top companies focusing on employee experience tend to have four times the average profit and more than twice the average revenue. Generation Me employees (otherwise known as the Millennials) demand the same quality of experience as customers. According to a recent Management Today survey, employers are ignoring this at their peril. At a time when companies are concerned with attracting and retaining talent and good workers, it’s important for both HR and IT to to see employees as internal customers. Working together and sharing information, they should strive to resolve issues quickly, provide new tools and technology that empower employees and more frequently engage with them to find out how they can improve their experiences. 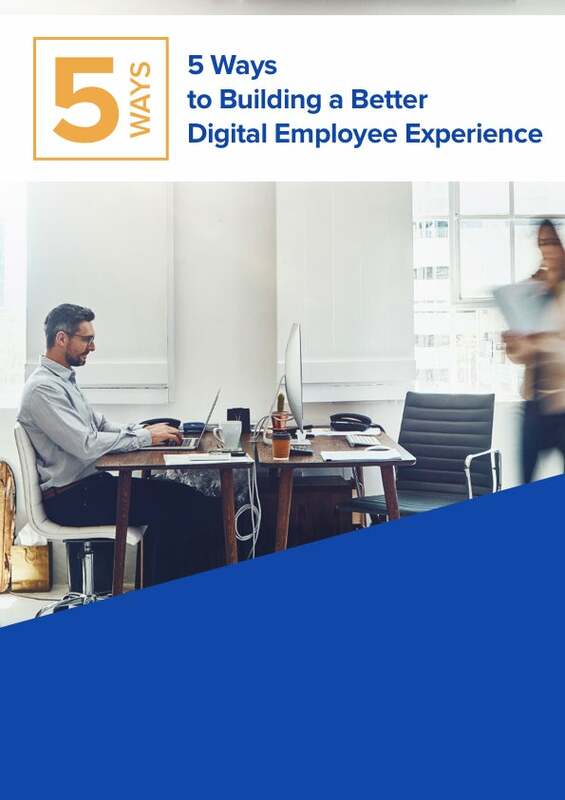 Companies who fail to understand the individual digital needs of their employees are squandering opportunities to have a more engaged, energized and productive workforce. Companies should focus on offering greater flexible working and career development to their employees in order to enhance their experience. While technology is an integral part of millennial life, employers appear slow at understanding and implementing automation, analytics and other technologies that can facilitate improvements. Find out what the remaining four ways are by downloading the full ebook today.